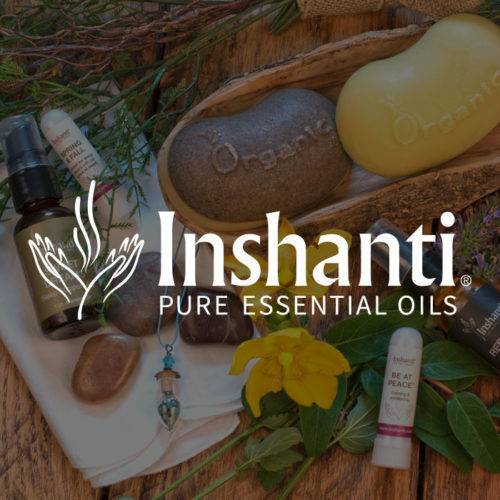 You’ll love the difference you discover with Inshanti herbal infused oils: The potent fragrance of the herb, not of olive oil, thanks to double or triple the amount of herbs we use compared to most other companies. Vibrant colors, not washed out, because our herbal infused oils are some of the strongest on the market. Healthful, with both oil and herbs certified organic. Also known as macerated oils, our herb-infused oils begin with a base of first-press certified-organic olive oil. Our master blender Debra Stoltzfus, then adds certified-organic herbs that are overnighted to her by the grower immediately after harvesting. The oil and herb mixture is gently warmed for twelve weeks and then decanted and strained. Herbal infused oils are not essential oils, which are used in drop-sized dosages. Herbal infused oils, though, still contain the properties of the herb in a milder form. You can apply them directly to your skin where your body absorbs them. Massage the fragrant oils in. Or add them to our pure ingredients to create your own salves and creams.